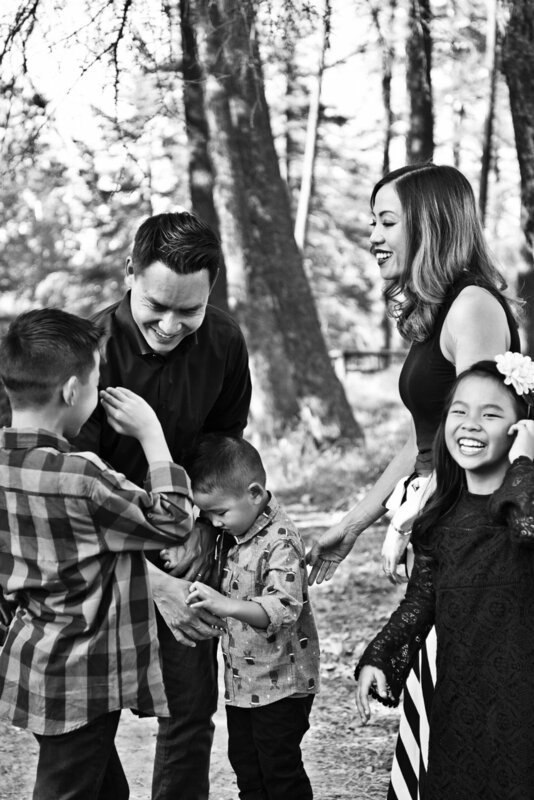 It's the season for holiday family portrait sessions and I always look forward to opening my mailbox knowing I will be unveiling holiday cards with gorgeous family photos on them. 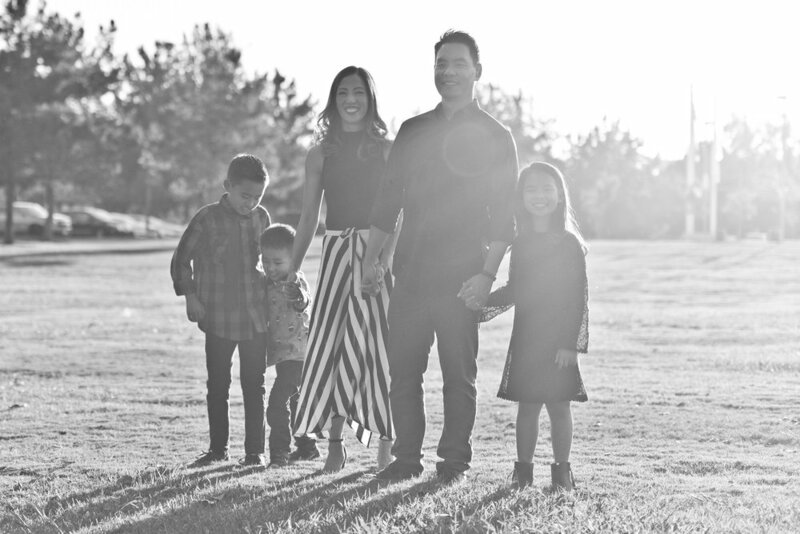 The Wei family was ahead of the game this year and we spent an afternoon at a charming park in Tustin as the setting for their family photos. 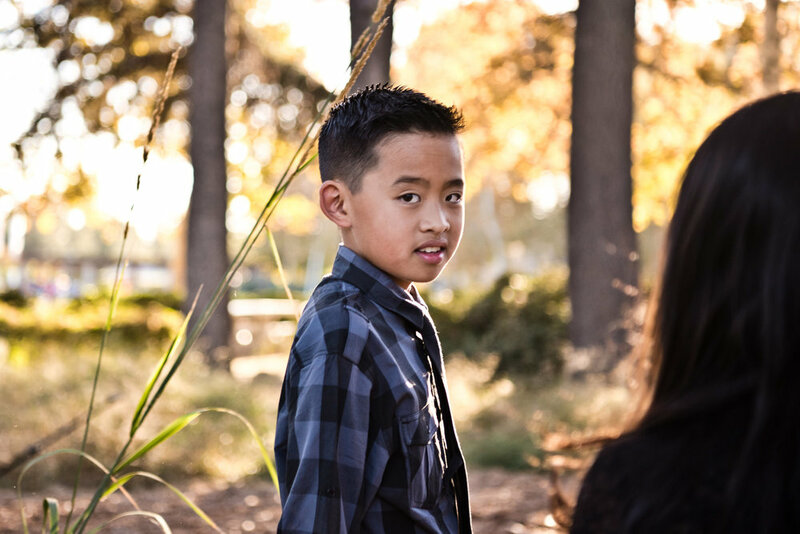 I first came across Cedar Grove Park years ago when the amazing Alice Hu shot my own family portraits. At the time, I remember filing away this setting in my memory banks so that I could mention it to my friends looking for a great location for photos, or even for myself to come back to one day to shoot. Autumn brings out the golden hues of the season and combined with the beautiful late afternoon sun, their photos were bright, dramatic, fun and striking. Talk about super chill and relaxed — this family was so easy to photograph. Mom brought healthy snacks to help steer them along the path and it worked like a charm. The kids were cooperative, easy-going and little hams to boot. Later on, when I began editing their photos, I thought about why the photoshoot went so smoothly and two things came to mind. First, mom and dad were extremely calm throughout the hour-long session and that definitely set the tone for the kids. Secondly, they completely trusted me. As their photographer doing my best to capture intimate and truthful moments between them, this made a world of difference. Their relaxed demeanor relaxed me. 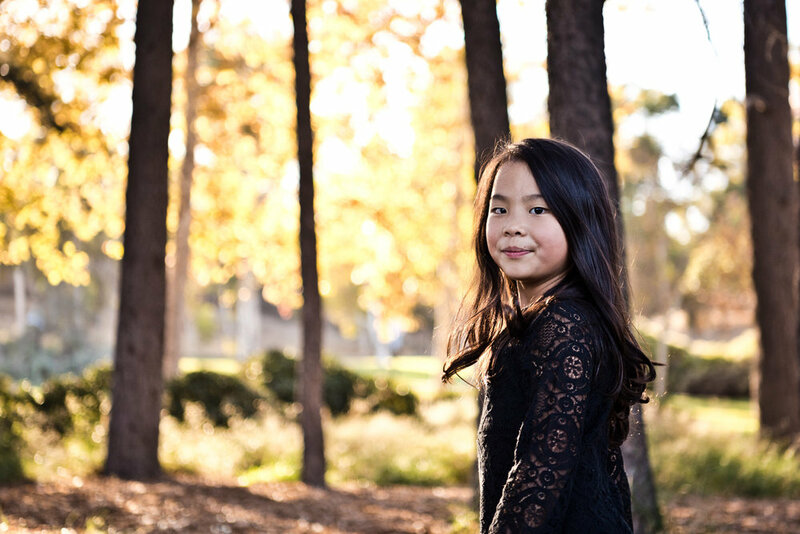 Family portrait sessions can be a stressful event for the parents especially, but spending time with the Wei’s was quite the opposite. Watching Bonnie and Jeren with their kids made me reflect on how I could work on being more calm and chill with mine. I learn so much from the families I photograph. It’s absolutely the one thing I love most about what I do.